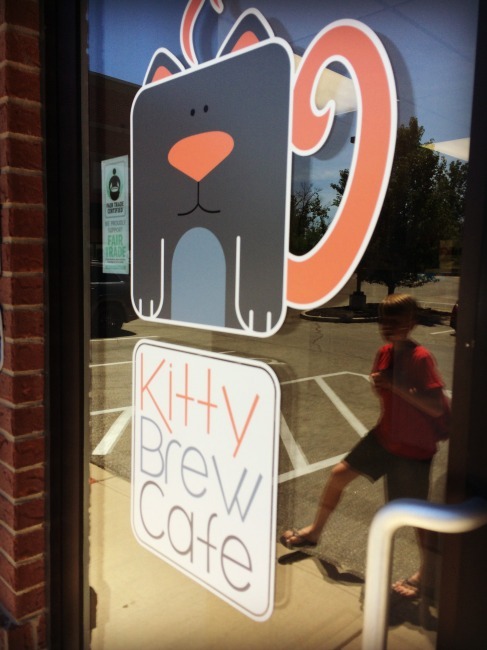 Whether you want to adopt a cat or just hang with some cute kitties for a little while drinking coffee you really need to stop by the Kitty Brew Cat Cafe in Mason. 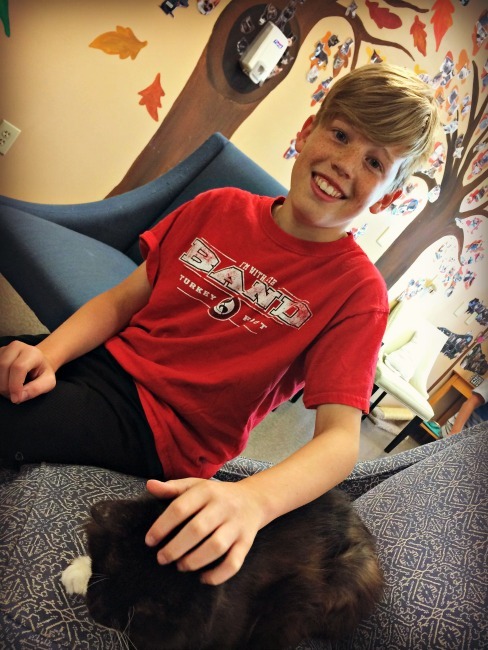 My son Max loves cats and dogs with his whole heart, but unfortunately we cannot have either at our house because of his brother Sam’s pet allergies. 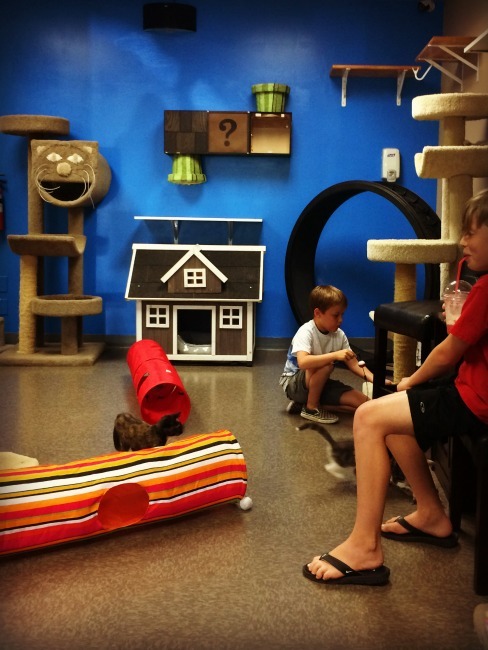 For Max’s birthday this summer I reserved an hour of time at the Kitty Brew Cat Cafe so we could play with cats of all shapes and sizes and give him a little furry pet fix. 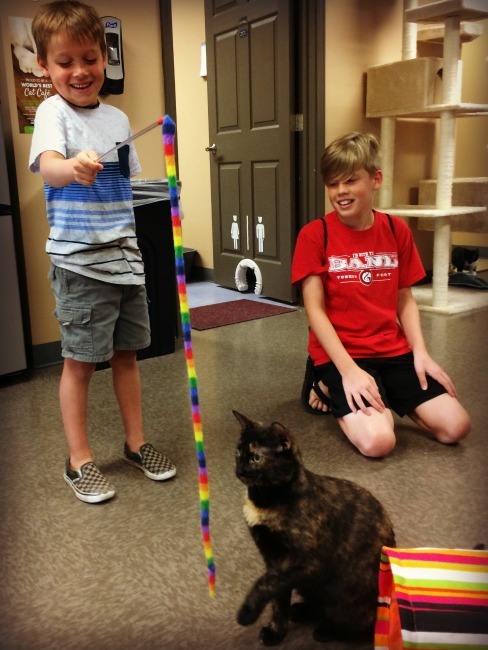 Going into this adventure I pictured myself just sitting along the sidelines sipping some tea while the children played with the cats. 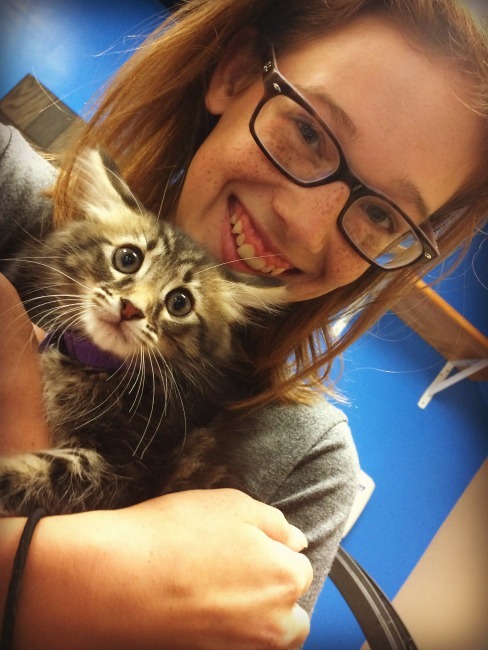 It only took about a minute or two in the Cat Cafe for me to get right in on the action of playing with and petting all of our new feline friends. 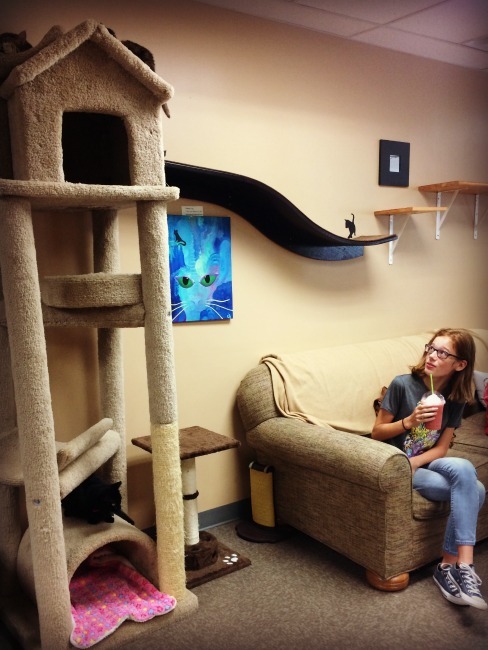 The Kitty Brew Cat Cafe is a magical place for kitties and humans alike. First you go into the cafe and order some food and beverages and pay for your visit (or reserve ahead of time on their website). 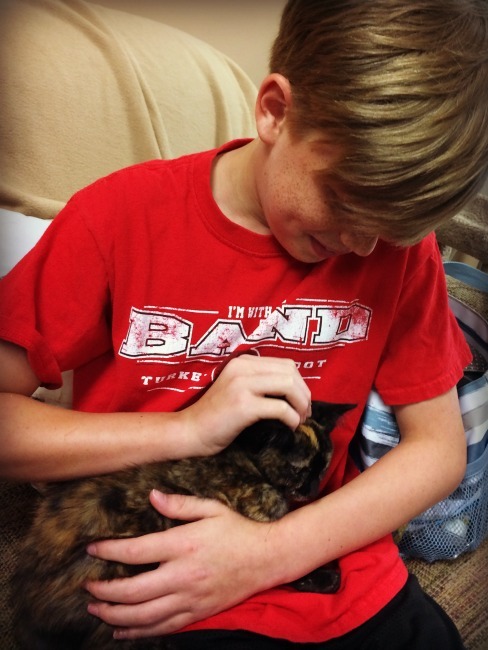 Then you go right next door to hang out with the cats of all ages. 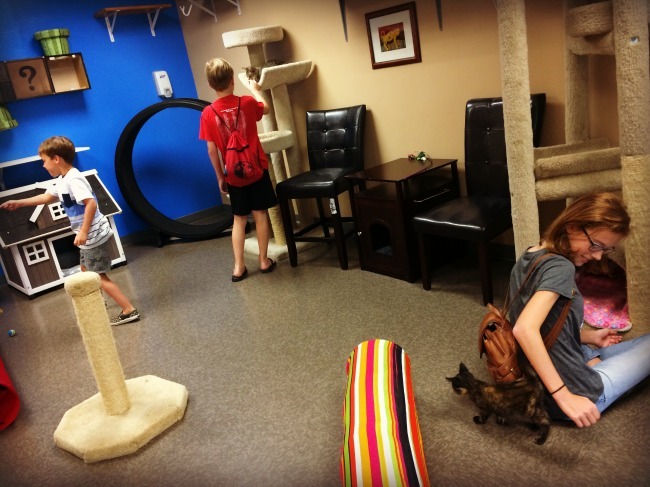 What a great idea a cat cafe is! Although I can’t imagine it being too easy to run, I guess that is what makes mobile app development tools so desirable. 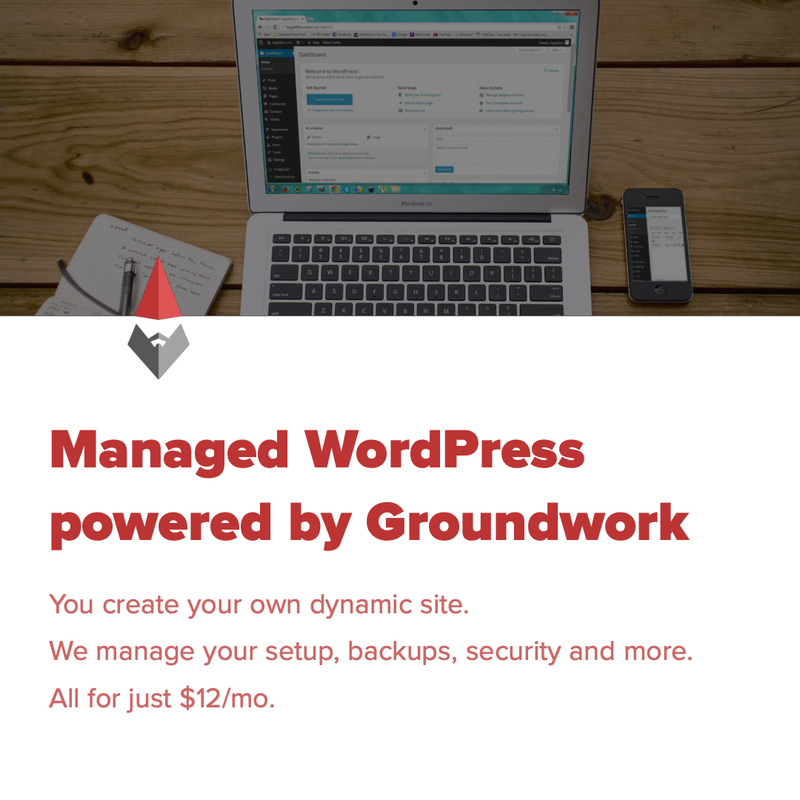 It might really help to identify with customers and allow a more effective running of the business. 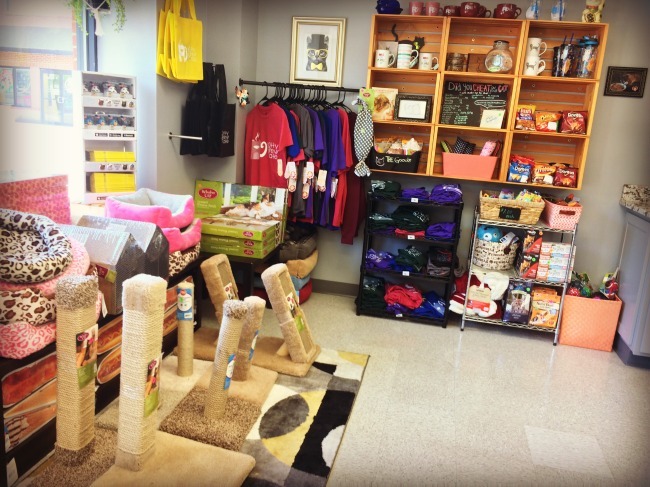 The Kitty Brew Cat Cafe is a safe and fun haven for cats. 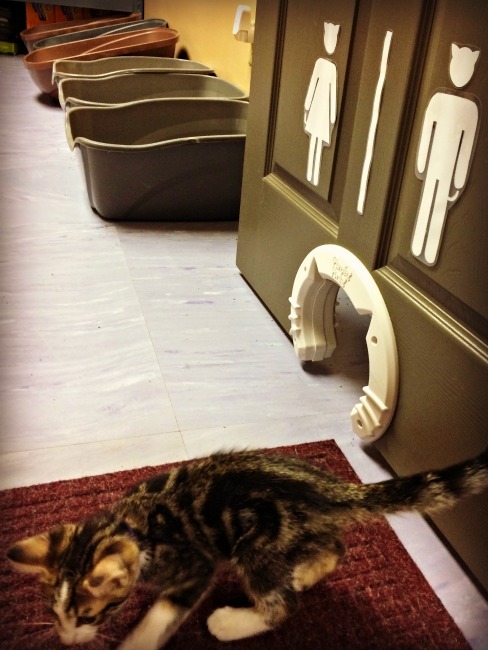 They have all sorts of toys, food, climbing structures and even their own little “restroom”. 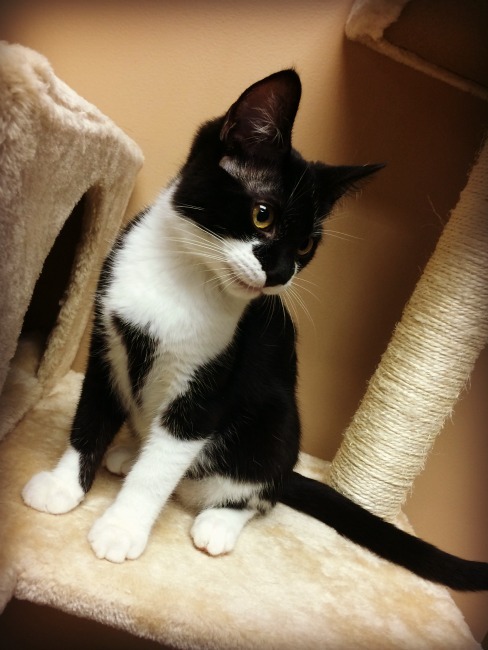 These cats are living the life, just waiting for their forever home to happen. While we visited we witnessed two amazing things. 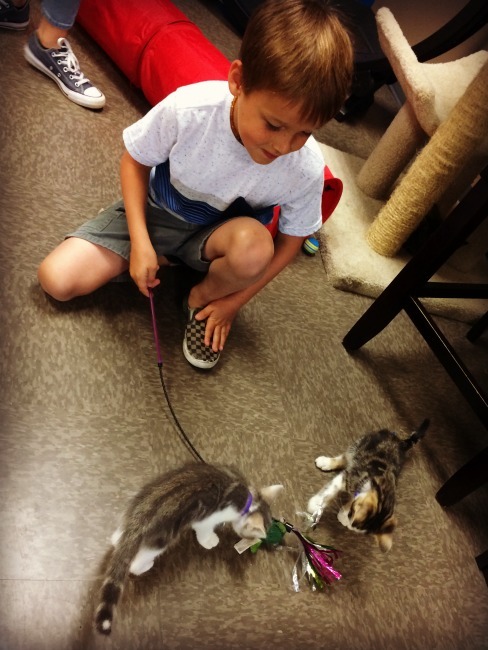 First, we saw a crate of the teeniest tiniest kittens arrive and got to spend time with them. 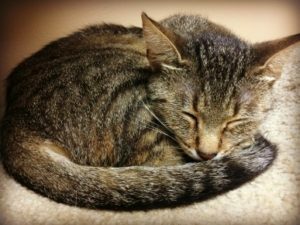 And second, we saw an older cat a little worse for wear be adopted by a couple that was clearly head over heels with him. 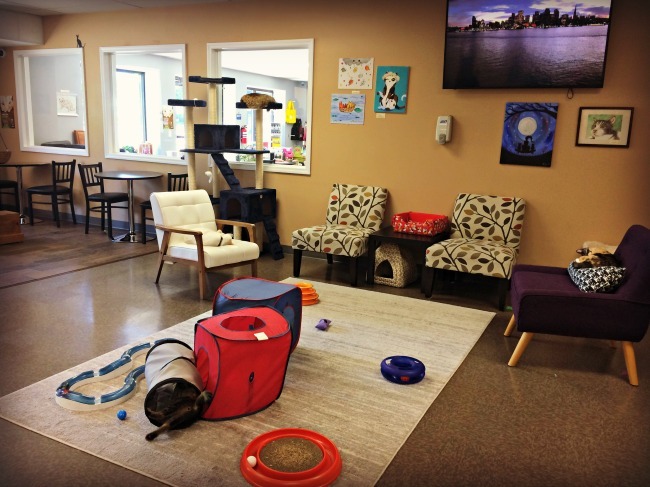 The Kitty Brew Cat Cafe does great things for people and felines in the community, and I have a feeling this will not be our last visit for Max (and the rest of us) to get a furry friend fix. 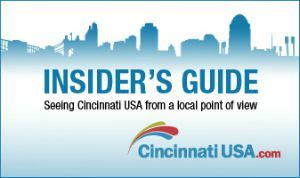 For more ideas for fun around Cincinnati & NKY visit my AROUND TOWN archives!